Joe Christensen of the Minneapolis Star Tribune reports that the Twins pulled out of contract talks with Eric Gagne "just when Gagne was ready to meet their price." Back in November one of my entries listed Gagne among a handful of low-cost bullpen targets and suggested offering him a one-year deal worth "$3 million plus incentives." It turns out that was right on the money, because Christensen notes that Gagne "was willing to sign a one-year, $3 million deal with about $500,000 in incentives." Failing to sign Gagne is far from the end of the world, but dating back to the middle of last season the Twins' refusal to add even one capable reliever has been maddening. The bullpen unraveled after Pat Neshek was lost for the season in May and completely collapsed down the stretch, ultimately costing the Twins a trip to the playoffs. Not only did the Twins fail to fill an obvious hole via trade, they've since watched as quality setup men come off the board cheaply all offseason. Christensen speculates that the Twins are "exploring trade options for bullpen help" after failing to sign Gagne, so there's still hope that Smith will add a useful reliever. In the meantime he's missed out on myriad chances to address a weak spot for a fraction of the Twins' unused payroll. Along with Gagne, my November entry about low-cost bullpen targets suggested Jeremy Affeldt, Brandon Lyon, and Will Ohman while noting that Russ Springer and Bob Howry would be worthwhile if not offered arbitration. Gagne and Ohman remain unsigned, but none of the four who have been snatched up received more than $4.25 million in guaranteed money for 2009 and guys like Takashi Saito and Joe Nelson signed for much less. For around $4 million the Twins could have added a capable veteran to a bullpen that struggled mightily for most of last season and that may haunt them unless Smith pulls off a good trade in the next month. Considering that Smith's next good trade will also be his first, I'm skeptical. A two-season, $7 million commitment to a 27-year-old who's emerged as the team's third-best hitter is hardly a big risk. Plus, having the option to keep Kubel around for his age-29 season will come in very handy if he bumps up his production, and even if he stays in the .800 OPS range a $5 million price tag will be reasonable (and tradable) in 2011. He's bounced back from a major knee injury to become an asset in a power-starved lineup and the Twins did well to cheaply extend his time under their control. Even with Joe Mauer declining his invitation to catch for Team USA the Twins lead baseball with 18 players on provisional rosters for the World Baseball Classic. Phil Miller of the St. Paul Pioneer Press has the full list, which includes major leaguers Justin Morneau, Joe Nathan, Francisco Liriano, Jesse Crain, and Nick Punto, and top-40 prospects Jose Mijares, Luke Hughes, and Carlos Gutierrez. Punto was born in California and has lived in America his whole life, but will play for Team Italy. I'm getting more patient. Take more pitches. I practice. I take pitches. I stand and take 60 pitches, then swing at one. Don't swing for 60 pitches. I watch a pitch and tell, "Strike, ball, high or low." When I'm ready to swing, I have more discipline to wait. Talk is cheap, of course, and after posting a 142-to-25 strikeout-to-walk ratio Gomez has a long way to go just to have decent plate discipline. Still, it's encouraging that he's working on what is undoubtedly his biggest weakness, because without at least some semblance of strike-zone control all the physical tools in the world will go to waste. I'm not yet convinced that Gomez will be an impact hitter, but a great glove means that it won't take much offensive improvement to make him a top all-around center fielder. Doors open for pre-submitted questions around 11:30 and the chatting begins at noon, so be there or risk wasting your day doing something productive. Taken by the Mets with the third overall pick in the 2004 draft after a brilliant run at Rice University, Philip Humber underwent Tommy John elbow surgery 15 starts into his pro career and has lacked anything resembling the same overpowering stuff since. He was acquired by the Twins last winter as part of the four-player package for Johan Santana and was the first pitcher from the trade to make it to Minnesota, but his September call-up came after a second straight underwhelming season at Triple-A. Humber is three-plus seasons removed from surgery and turned 26 years old last month, so what you see is what you get at this point and he now looks like a potential back-of-the-rotation starter or reliever. Humber's curveball has always been MLB-quality, but his post-surgery fastball tops out in the low-90s and he's managed just 226 strikeouts in 275.1 innings at Triple-A. He's also an extreme fly-ball pitcher who's served up 42 homers in those 275 frames, which helps explain his 4.41 ERA. Toss in mediocre control and it's tough to see a lot of upside in Humber, although he did put together a good second half at Rochester after rejoining the rotation following a demotion to the bullpen. He's out of minor-league options, so the Twins must either hand him a spot on the Opening Day pitching staff or risk losing him on waivers. A rotation spot should be out of the question, but he may do some long relieving since the Twins are unlikely to give up a high-profile piece of the Santana deal for nothing. Jason Pridie had a breakout 2007 season, hitting .303/.352/.487 in 134 games between Double-A and Triple-A, which convinced the Twins to acquire him from the Rays as part of the Matt Garza-for-Delmon Young swap two years after briefly holding him on their roster as a Rule 5 pick. Pridie predictably came crashing back down to earth at Rochester last year, performing so badly in the first half (.243/.276/.392) that a big second half (.326/.364/.522) left him at just .270/.305/.435 in 138 games overall. Pridie has persuaded the Twins that he's promising enough to acquire twice, but it's tough to see him becoming more than a fourth outfielder given his non-existent plate discipline, horrendous strike-zone control, and .278 career batting average. He's an excellent athlete with good wheels and some pop in his bat, which is no doubt the combination of tools that had Twins scouts smitten, but Pridie has yet to consistently turn his physical ability into actual baseball skills and time is running out. Pridie's strong finish provides some reason for optimism heading into 2009, but even while putting up big second-half numbers he posted an awful 51-to-12 strikeout-to-walk ratio. For the season he struck out 152 times while drawing 28 non-intentional walks, which is abysmal strike-zone control that keeps Pridie from taking full advantage of his speed or power. He made his MLB debut in September and will likely see more of Minnesota this season, but right now Pridie is just an unused toolbox. David Winfree hacked at everything through five pro seasons, drawing just 25 walks per 500 trips to the plate while striking out 20 percent of the time to take some luster off his strong power numbers. He finally showed some improvement in both areas last year, walking 41 times compared to 87 strikeouts in 502 plate appearances at Double-A. More walks and fewer strikeouts while continuing to hit for good power as a 22-year-old certainly qualifies as promising news. On the other hand, Winfree was repeating Double-A and posted a career-worst .252 batting average in the process while moving completely away from third base defensively. With minimal defensive value Winfree's bat will have to carry him, which makes his .269 career average in 537 games concerning even for someone who has been very young for every level. With that said, Winfree's power potential is legitimately outstanding and has been undersold by pitcher-friendly environments. Last season Winfree ranked sixth among Eastern League hitters in homers as a 22-year-old and the five guys ahead of him were 26, 24, 24, 29, and 25 years old. In two seasons at Double-A he's posted a .178 Isolated Power, which is 30 percent above the EL average. It's tough to project stardom because he's yet to advance past posting an OPS in the .750 range despite seemingly being around forever, but Winfree won't turn 23 years old until August and has shown enough power to have an MLB role in time. Acquired from the Mets in exchange for Luis Castillo in mid-2007, Dustin Martin moved up to Double-A for the first time last season and established himself as a legitimate prospect with a strong all-around campaign. He's never going to hit for big-time power, but Martin has developed a bit more pop as he's moved up the organizational ladder and smacked a career-high 10 homers among 52 total extra-base hits in 133 games last season. Only New Britain teammate Erik Lis had more doubles than Martin among Eastern League batters and his eight triples ranked fourth in the league. Martin sports a .295 batting average in 332 pro games and offers decent plate discipline to go with above-average speed and solid range in center field, so there's plenty to like. However, he'll be 25 years old before his first Triple-A at-bat and has struck out in over 20 percent of his career plate appearances, including 125 times last season. Martin is an underrated prospect and potentially could be a starting-caliber center fielder if his defense holds up, but he's more likely to end up as a fourth outfielder who offers a little bit of everything without thriving at anything. Unfortunately for Martin the Twins are overflowing with young outfielders throughout the organization and seemingly view Pridie as the superior backup option regardless of whether that's really warranted. Drafted by the Twins in 2004 out of a Canadian high school and in 2005 out of a Florida junior college, Rene Tosoni signed in mid-2006 and made his long-awaited pro debut at rookie-level Elizabethton in 2007. He made a good first impression, hitting .301 with 13 steals in 63 games while ranking second among Appalachian League hitters in on-base percentage and eighth in OPS. He was so good that the Twins had Tosoni finish the year at low Single-A to join Beloit for the Midwest League playoffs. Tosoni appeared set to spend his first full season at Beloit last year, but instead the Twins decided to have him skip the level and pushed him up to high Single-A. Aggressively promoting Tosoni proved to be a good move when he hit .325 through 36 games, but he suffered a broken foot in mid-May and was sidelined for over three months. He went just 1-for-14 after returning for the final week of the regular season, but then batted .389 in the Florida State League playoffs to end the year on a high note. At just 22 years old Tosoni will be young for the level of competition even if the Twins send him back to Fort Myers again, which makes his .305/.408/.433 line through 109 pro games so impressive. He's yet to show much pop and doesn't have the size to suggest a ton of future power, but hitting .305 with great plate discipline and the underrated ability to get plunked by pitches is plenty promising at his age and Tosoni is considered a good defensive right fielder who even played center field occasionally last year. 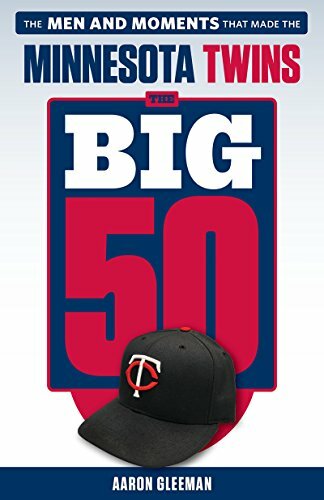 When reports surfaced last week that the Twins were on the verge of inking Jason Kubel to a two-year contract that would cover his remaining seasons of arbitration eligibility, my take was: "If they're smart, the Twins will at least attempt to get a team option for 2011 included in the deal." Apparently the Twins are smart, because they did exactly that, reportedly signing Kubel to a two-year contract that includes a team option for 2011. Kubel was already under the team's control for two more years thanks to the arbitration process, so the Twins essentially reached a settlement with him for this season, pre-paid for 2010, and bought out his first season of free agency. The team option for 2011 is crucial because it delays Kubel hitting the open market without forcing the Twins to commit to a truly long-term contract. Instead he's locked in through the age of 29 and the Twins can decide later if his thirties are worth investing in. Kubel took much longer than expected to establish himself as a valuable major leaguer because of the career-threatening knee injuries that he suffered while playing in the Arizona Fall League following his debut season. He missed all of 2005 and was clearly at less than full strength while struggling mightily in 2006, but has turned in back-to-back productive campaigns while emerging as the Twins' third-best hitter behind Joe Mauer and Justin Morneau. For too long Ron Gardenhire was reluctant to stick Kubel in the lineup and let him be, which included starting Craig Monroe over him against a right-hander on Opening Day last year. That finally changed around midseason, and down the stretch Kubel was a lineup fixture against righties and got regular playing time against lefties too. Kubel still hasn't had 500 at-bats in a season and the outfield logjam means that he may not be a true everyday player in 2009, but he's safely in the Twins' plans. Finally. Kubel has developed into a much-needed source of power, smacking 20 long balls in just 463 at-bats last season to rank second on the team behind only the 23 homers that Morneau totaled in 160 more at-bats. For his career Kubel has gone deep 22 times per 600 at-bats and looks capable of reaching 30 homers if given everyday work, but his batting averages have been lower than expected based on his minor-league track record. Prior to the knee injuries Kubel rarely struck out and hit .323 in the minors, including .312 at rookie-ball, .310 at Single-A, .377 at Double-A, and .343 at Triple-A. Back in 2004 he looked more likely to hit for big batting averages than big power, and even swiped 17 bases that year. Blowing out his knee changed all of that, as Kubel came back with far less speed and athleticism while seemingly struggling at times to find balance at the plate. He's also added quite a bit of weight, some of which is no doubt muscle. Prior to the injury Kubel was a good athlete and high-contact, high-average hitter with developing power and solid plate discipline. Some bad luck cost him a chance to see where that path would have taken him, but to Kubel's credit he battled back and shifted his skill set to become a different type of valuable player. He's unlikely to bat .300, stole zero bases last year, and is best suited for designated hitter on defense, but Kubel has hit .272/.335/.461 over the past two years and is entering his age-27 season. Four words: The Gary Gaetti Cult. Seriously, click that link and then try to avoid spending the rest of your day looking at the photo collection. As a live-chatting veteran, Cardinals general manager John Mozeliak has my sympathies. Official Fantasy Girl of AG.com runner-up Marisa Miller basically makes her living with a bikini on, so you'd think that she'd be better at, you know, actually keeping a bikini on. She is, however, quite good at the highly underappreciated skill of boozing it up while in a bikini. As part of radio giant Clear Channel cutting 1,800 jobs earlier this week KFAN laid off longtime host Chad Hartman and his producer Doogie Wolfson. I've enjoyed Hartman's show in the past and he was very nice when we met a few months ago, but I'm particularly saddened by Wolfson being let go. He'd been at KFAN for over a dozen years, starting there as a 16-year-old intern in 1996 and working his way up the ladder to become a producer and on-air staple. Plus, we grew up together in St. Paul. Wolfson used to hang out at my house in Highland Park, asking my mom to make him sandwiches in between talking sports all day, so it always made sense to me that he landed at KFAN. In addition to being Hartman's producer Wolfson often hosted shows of his own on weeknights and weekends, and he was kind enough to invite me in for regular in-studio appearances that led to a weekly segment on The Power Trip Morning Show during baseball season. I've always been a huge fan of talk radio, so doing frequent in-studio appearances on KFAN has been sort of a dream come true and a great learning experience. And without Wolfson there to get my foot in the door none of it would have happened (and now that he's gone, it may be done happening). Plenty of good people are out of work right now and certainly I'm focusing on Wolfson because he's a friend, but he's a great guy with tons of radio experience and it's sad to see him forced from a job he was born for. Speaking of The Power Trip Morning Show, Mike Morris and Nathan Lane finally have something in common. On the way home I started picking apart plot details, which admittedly sounds absurd for a movie about aging backwards. However, it brought to mind this Aristotle quote: "With respect to the requirements of art, a probable impossibility is preferred to a thing improbable and yet possible." Or, as Sam Seaborn put it on West Wing: "It's okay to have a broomstick sing and dance, but you shouldn't turn on the radio and hear the news report you need to hear." The Curious Case of Benjamin Button felt that way a lot. Kurt Warner reemerging as an MVP candidate and going back to the Super Bowl at the age of 37 is truly a big story, but Brenda Warner's transformation at the age of 40 has been woefully underreported. Known as much for the scolding glances he gave reporters and teammates over his 17-year career as he was for what he achieved on the field, Kent, 40, will leave the game as arguably the greatest power-hitting second baseman of all time. Surely most obituaries for Mother Teresa included her inability to hit a curveball. Baggy jeans, a huge silver belt, two tank tops, ridiculously big sunglasses, and a knit hat isn't a look that many moms can pull off, but OFGoAG.com third runner-up Kate Beckinsale somehow manages. Similarly, OFGoAG.com fourth runner-up Mila Kunis makes for a plenty cute blood-thirsty zombie. Rotoworld is looking for writers to join the staff as paid, part-time contributors for the upcoming baseball season. Previous writing experience is an absolute must, as is significant knowledge of and passion for both baseball and fantasy baseball. Qualified applicants would work under baseball editors Aaron Gleeman and Matthew Pouliot, providing coverage for Rotoworld's player news page that requires the ability to report news with instant analysis and recap games in a clear, concise style. Rotoworld is also looking for someone to specifically focus on our baseball rankings and projections. This person could also be involved in a writing capacity, but would work specifically on weekly rankings and projections in conjunction with our baseball staff. 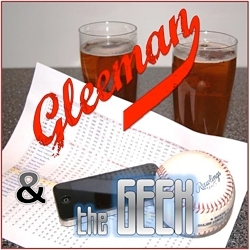 A great feel for fantasy baseball player values and statistics is a necessity. If interested, please send a brief note about yourself and desire to work for Rotoworld along with links to examples of your writing experience and a resume to aarongleeman@gmail.com. Within 24 hours of that being posted my e-mailbox was filled with more than 300 applications, so we're definitely not short on candidates. However, an amazingly high percentage of those e-mails came from people with little or no significant writing experience and unfortunately that's just not what we're looking for. In other words, if you're reading this and legitimately meet the qualifications described in the above note please feel free to contact me with your information. Non-writers need not apply. Sadly, none of the 300 applicants explained their qualifications by saying: "My eyes are large, my lips full, my legs long. Many have told me that I should be a fantasy baseball writer." Two of my all-time favorite writers, Bill Simmons and Chuck Klosterman, talked about a whole slew of random topics during an hour-long ESPN.com podcast. My favorite part was both of them agreeing with me about Michael Phelps versus Usain Bolt, but the whole show was great. Hopefully having a fan in the White House will help the White Sox as much as it helped the Rangers. On a related note, apparently everyone is blogging now. When adding Steve Phillips to an MLB broadcast is the answer, you've asked the wrong question.